Have you really been here two days already? My, how time flies. It seems like just yesterday I was greeting October and all of it’s fun, and now, here you are! I can’t say I’m disappointed that you’re here. You are the promise of good things. Not only do you continue to usher in the sights and smells of fall, but you also bring us such good things all during your visit. You make us think of things of which we’re thankful. Life is full of blessings every day of the year, but you bring us the day of thanks and somehow, for us, that translates into an entire month of focus of our thankful, grateful lists. You always bring so many things when you come along, so much for us to unpack. You bring elections, voting, awareness of diabetes, COPD, family caregivers and so much more. You focus on family literacy, role models, runaways, peanut butter and things we’ve never heard of like Teff and Millet or Critical Infrastructure Security and Resiliency. Let’s not forget you remind how just. how. close. Christmas. is!!! Perhaps sending some of us into crazy mode. I always have such high hopes for November. I have so many things I want to get done, but inevitably, you, November, move as fast as the rest of the months and will be gone in the blink of an eye. I’ll try to keep up and do what needs to be done, but I make no promises. Perhaps I’ll simply sit back, kick my feet, up,, grab a cup of my favorite hot tottie, and enjoy as you move on by…..ok, just waiting, NAHH!! The tottie? Oh yes, definitely yes!! 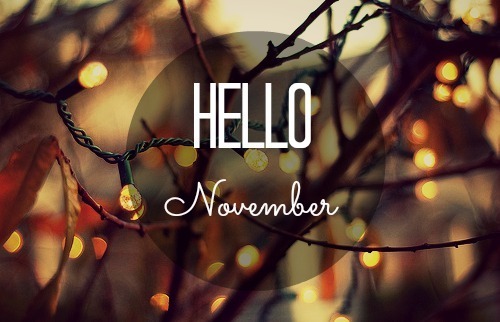 Happy to have you around November!! Great post! So positive and pleasant! Brought a true smile to my face! Mira, I’m so thankful it brought a smile for you!! I love hearing things like this! Thank you so much! !